In December we put the project to bed. The Design Council project was over, we’d wound down the sowing regime, and in any case, it was so cold the remaining plants seemed to shrink rather than grow. 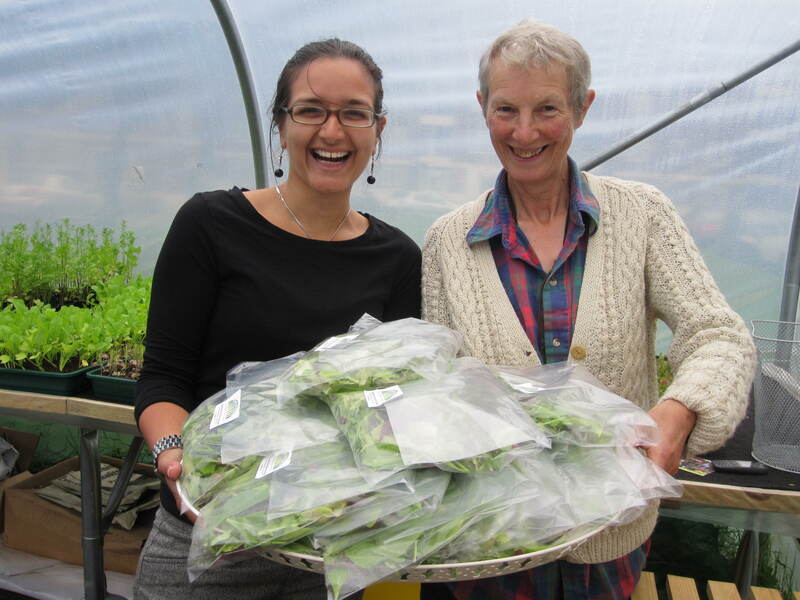 Pamela, Bibi and I delivered the last batch of a mere 100g of microgreens to Cornercopia. Anne and Ian graciously paid and, as ever, with B£-by-text. They’ve always said they would take whatever we brought. Our leaves are great quality, so why not? patronised by talk of ‘managing expectations’. I didn’t want to say ‘Really well done. Good luck. Goodbye’ to the volunteers, residents and Lambeth Living staff involved at Tulse Hill Estate. But I had to weigh up whether I could invest my time and effort in starting a not-for-profit business on no income when I have a household to support. Lambeth Poly is about enterprise (we won a London-wide award for it), but my motivations are about developing capacity for food production in the borough – not being an Alan Sugar. While recognising the wonderful opportunity this particular Co-op council project gave, I’ve had frank conversations about lessons here and what it’s like to be a dumped community member. 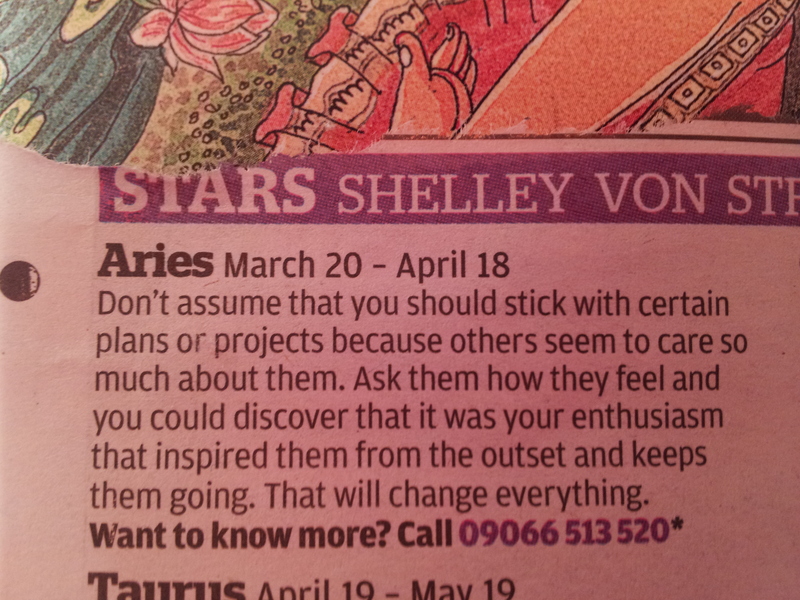 I wondered whether to walk away, and a chance horoscope reading gave me permission – or did it? I dithered all Christmas, while still researching and visioning different scenarios. However, now, at the end of January I can report some creative developments. Fairy godmother Frances Farragher met with Lesley Robinson (ALS) and I. Long story short, but it looks like an accredited award, ‘Introduction to Urban Farming’will be delivered at the tunnel this summer to residents. This will include work experience and crop production elements. It will build on the informal training plan I gave last year and pave the way for progression routes. I’m working with Alan Clisham, Community Adult Learning Manager at High Trees, and it’s hoped some of the delivery will be at the due to be opened Jubilee Hall. Capital Growth are making their 2013 focus ‘Grow to Sell’. 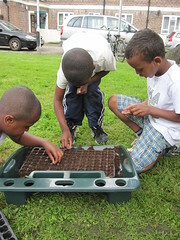 They’ve already signed up Lambeth Poly to deliver a workshop for London’s growers – one of 5 beacon projects doing this. Through my work for Garden Organic, I’ll be working on an EU research project, ‘Food Metres’, looking at how food journeys can be shortened. The research group – headed by Garden Organic’s research partner, Coventry University, will be using London food businesses for the case studies, including Lambeth Poly. This should allow plenty of insights and support for our project. It’s already interesting comparing the London approach to other European cities, and we are wondering if we will find more in common with the ‘control’ city, Nairobi. If you know yourself to be a friend of Lambeth Poly I aim to be in touch as soon as the PEP workshops get the go ahead or I find an alternative. Or if you feel you have something to offer as an individual or group, please mail lambethpoly@gmail.com. Lambeth Poly is delighted to have been awarded the prestigious Capital Growth Enterprise Award*. This seals the interim success of this prototype project supported by Veolia (tunnel and materials) and the Innovation Fund under the Design Council Community Projects initiative. 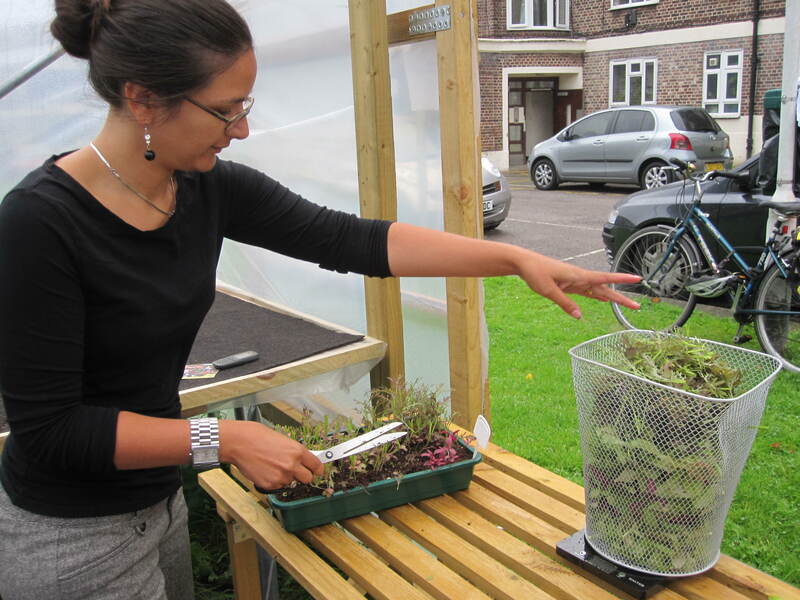 Lambeth Poly trains residents to grow and sell salad leaves and herbs. It has run since July 2012 as a 16 x 18 ft (5 x 5.5m) polytunnel sited on Tulse Hill Estate, Brixton, on a green in the middle of public housing. The prototype phase ended November 2012. The project is now looking to find a corporate structure and funding to grow the size and number of polytunnels. Another aim is to fund, write and have accredited a qualification specifically for urban polytunnel farmers. The long term goal is to grow capacity in the borough for a local food economy. The polytunnel project was proposed by local horticulturist, trainer and garden designer Fiona Law, and matched to Lambeth Council’s Co-op by Design initiative. It was accepted it as one of a raft of community/council co-produced projects in the Tulse Hill area. Fiona will be taking the project forward. *To commemorate the Olympic year, Capital Growth launched in February 2012 the Grow for Gold competition. Capital Growth is a partnership initiative between London Food Link, the Mayor of London Boris Johnson, and the Big Lottery’s Local Food Fund. 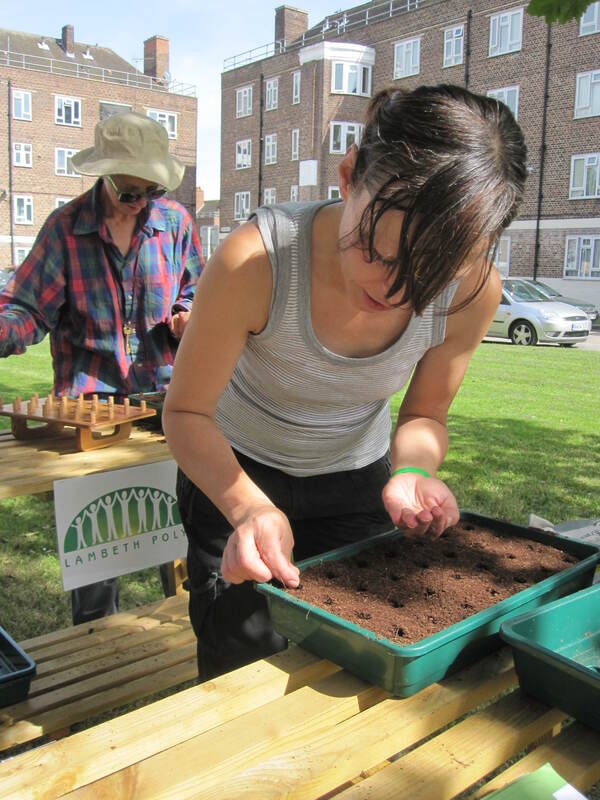 It is championed by the Chair of the London Food Board Rosie Boycott and aims to create 2012 new community food growing spaces across London by the end of 2012. 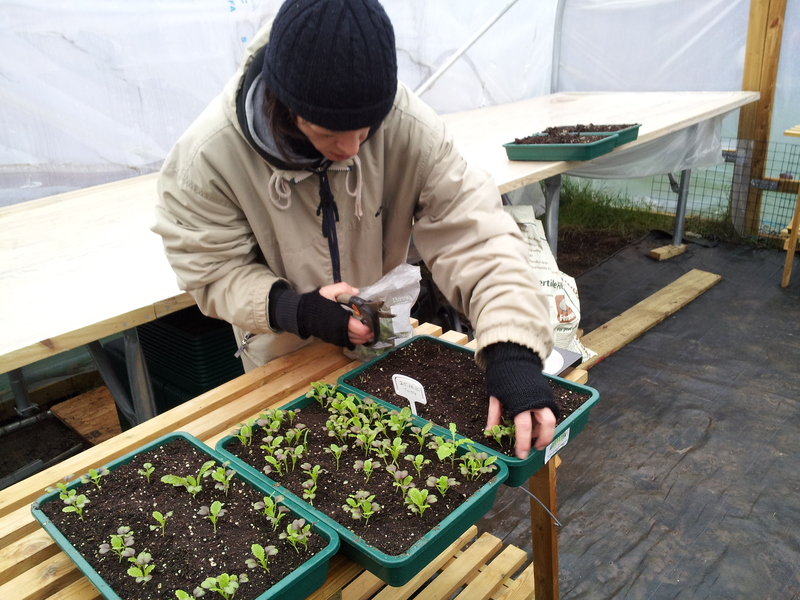 Lambeth Poly is an employment and skills food project growing in poly tunnels, with its first project on Tulse Hill Estate. See here for previous Lambeth Poly posts. 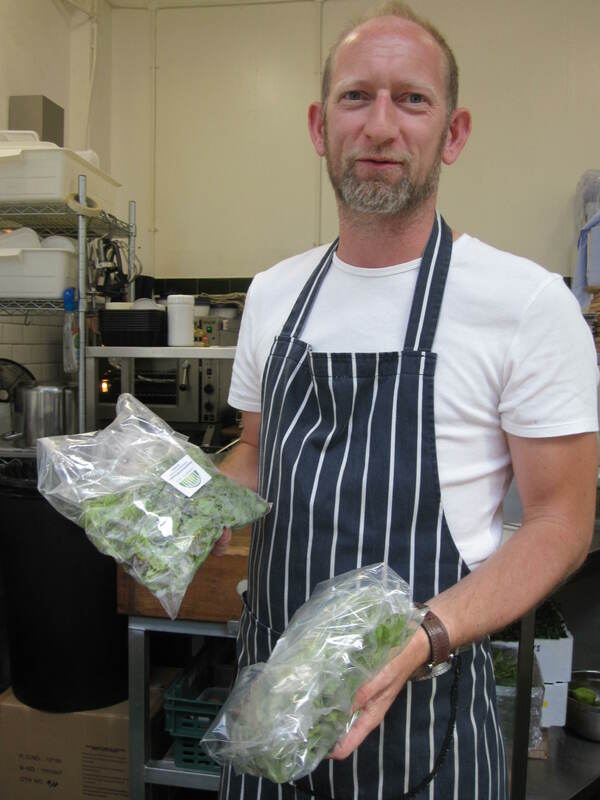 Highlights We’re really pleased to announce that over the summer we’ve sold several batches of leaves and herbs to Local Greens veg box scheme and to Brixton Village restaurant Cornercopia. 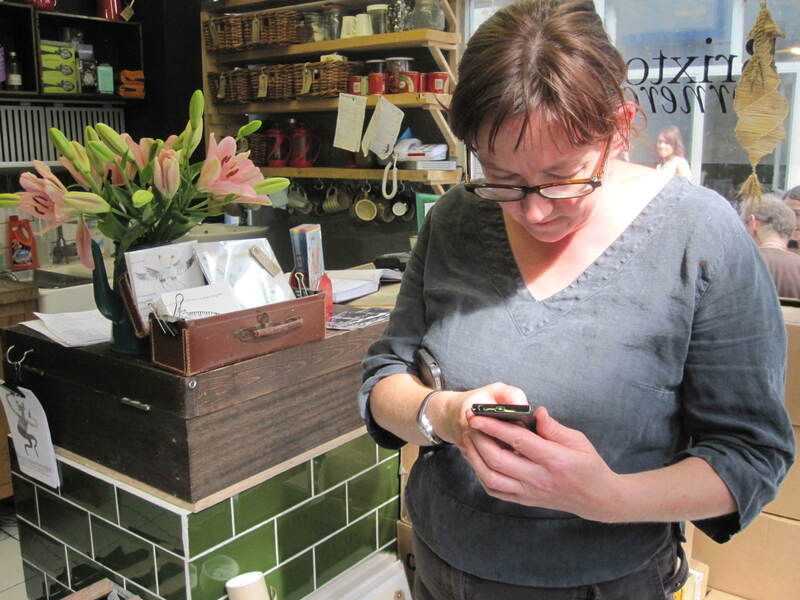 We’ve taken payment by Brixton Pound Pay-by-Text. Seven residents have received full induction training, and a further seven are actively involved in the maintenance of the crops. In addition, the project has become Capital Growth Space 1817, opening funding opportunities. Community The core team of volunteers are involved in production (sowing, watering, harvesting, weighing and bagging crops) and other residents also do daily tunnel chores (ventilating and watering). There are also ambassadors/friends, for instance Laud (TRA Chair) and Yvonne Joseph (Lambeth Living), and Abu (youth worker living on Cherry Close) who also muck in with sowing. Two other key people involved are Pamela Woodroffe from Cressingham Estate on Tulse Hill, who held the reins while I was away, and Carlos Mareiros from the estate, whose handy man skills are vital to continuing success, most lately installing chicken wire to stop foxes from tearing the polythene skin. We always enjoy good chats with people passing through, and have got to know many residents and workers on the estate, such as Neville who collects litter and Dave the drains guy who fills up our watering cans if he can, Isabel who opens doors on the way to work. There have been some good conversations around the growing table, and good meet ups between residents who didn’t know each other previously. A couple of weeks ago Abu and Laud sorted out martial arts sessions for the newly refurbished Jubilee Hall, for instance. We’ve hosted growing sessions for children at the summer play scheme and a group from High Trees. 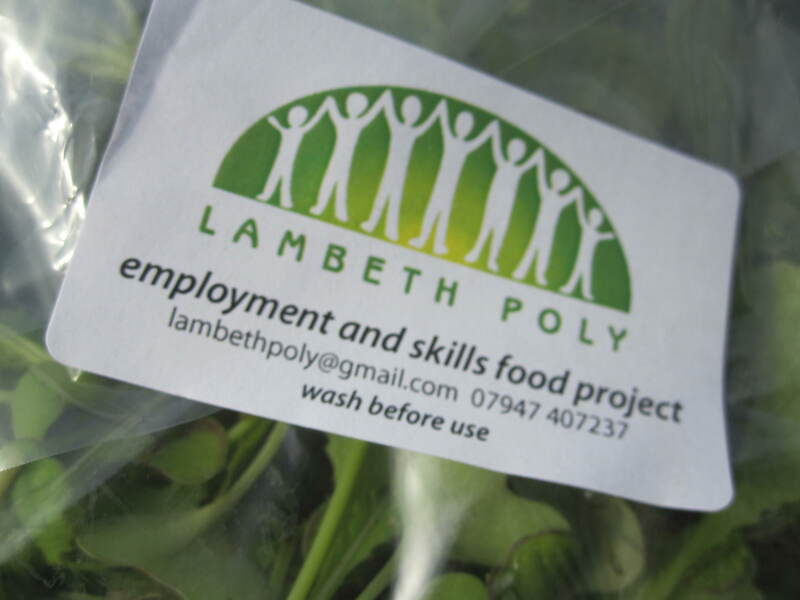 Wider interest is developing via twitter (please follow @lambethpoly, and our Project Dirt Page) from growers both local and far away, social enterprise, food campaiging, council workers and local community groups. 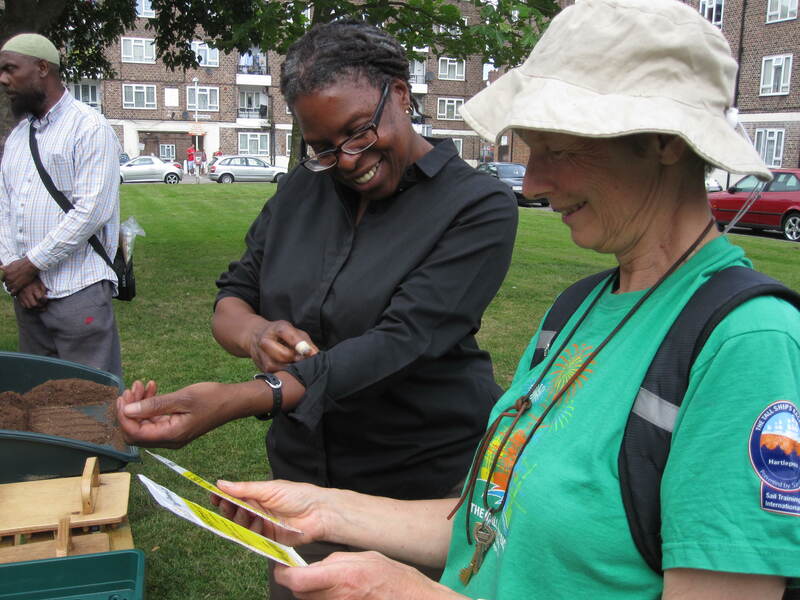 The project is also indebted to Ann Bodkin, co-chair of Incredible Edible Lambeth, who fired the link with Cornercopia. As well as the training outlined above, three of the ‘team’ and I had an awayday ‘Grow to Sell’ training provided by Capital Growth at St Mungos in Clapham, where we got some top tips and ideas to develop. As a grower/designer, the project has been a lot of fun, exploring crops that are marketable and how they grow in the model I designed, and I’ve been delighted with the response and suggestions of the trainees. Visitors and those we talk to admire the crops and the tunnel, are enthusiastic about both the social enterprise and long view resilience aspects to the project. open day for residents and all interested parties – Thursday 27th and Saturday 29th September 12 – 3 – visit us in your lunch hour! Please take a moment to enjoy the stop motion film of the tunnel construction. The film is excellent for training and inspiration. When we come to spread the word, this will help people visualise what’s involved, and aim for making a ‘raising the barn’ event of of their build. 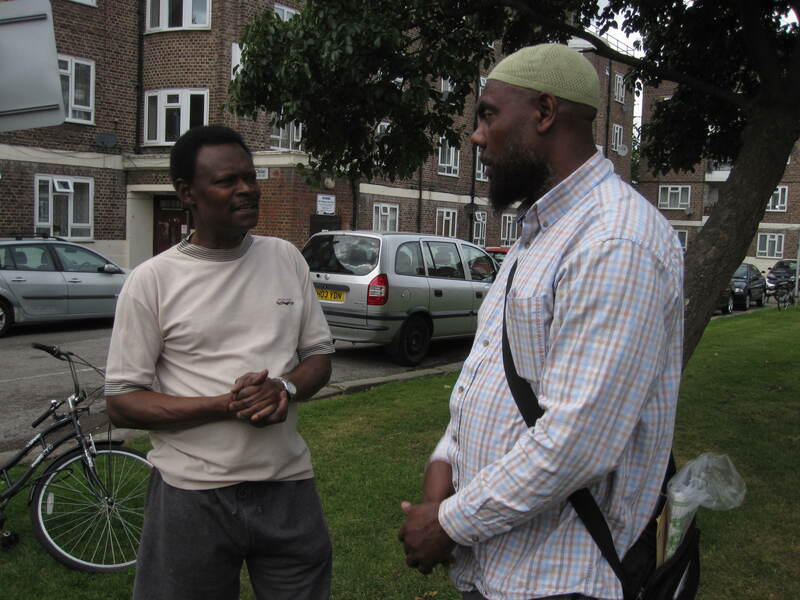 We commissioned Tulse Hill Estate resident film maker Eduard Vijulie. Peter Keenan from generous tunnel/materials sponsor Veolia dropped off seed trays and compost, and other goodies such as seaweed extract (growth stimulator) and capillary matting. Budget and payment all on track. High Trees project (Margaret Jarret), the grant holder have kindly set up the system set up for paying invoices. Documents written: risk assessment, health and safety guidelines, registration with Lambeth Food Safety, aims of the project for volunteers, training schedule, first training session. Since the blog last week the tunnel has gone up at Cherry Close, Tulse Hill Estate! Ben and the apprentices from Cultivate couldn’t have worked harder, and we had extra support from Veolia waste team and residents. It was a rare day without a single shower, and it was even sunny and hot at times. Click here for the flickr slide show, http://www.flickr.com/photos/82028753@N04/sets/72157630448886552/show/, and click the info button top right of the page to see captions. A successful day for engagement too. Lots of great chat with residents and workers on the esate, all supportive and encouraging. In addition, offers of support and materials. Some signing up to become volunteers for the routine maintenance and two for more formal training. Tessy and Laura from the asset mapping Coop project popped round. Thanks to Yvonne Joseph at Lambeth Living, her colleagues and Laud the TRA chair for kettles and lots of other assistance in the day. Film We employed Tulse Hill estate resident and film maker Eduard Vijulie to make a stop motion film of the construction. This should be fun and pleasing to watch (we’ll put it online) and serve as a visual overview for training. It will be a valuable resource when we come to replicate the project. Problem The tunnel wasn’t completely finished, though, and that is a bit of a blow for the project. Ben can’t come back for two weeks. We have some volunteer support for continuing the build, but I had hoped to be able save all volunteer goodwill for the growing itself, not the build. Doors need fixing on, and there is some snagging to do. Having to be flexible. Design In addition, the staging (growing tables along the sides of the tunnel) has not been started. This is key to the labour-saving way the project was designed, with dripper bags leading to capillary matting and only needing filling up on a daily basis. Also, as the project relies on community support, staging was key to accessibility issues. Lastly, a clearly defined and linear growing area will help all involved visualise and easily participate in the cropping cycle. Help I am seeking handy people to at least get the doors attached. The staging will be a two handyman job for the best part of the day. If anyone can persuade any of Lambeth’s contractors to spare a bit of time this week, that will be appreciated. Please contact Fiona on 07947 407237. Tulse Hill Action Day 7.7.12 Resident informal workshop 1 (of 2 , or more). Residents potted up basil seedlings to grow on their windowsill. Children carefully sowed a tray of coriander plugs. These will be ready to pot on to 9cm pots in about 3 weeks, and then for sale to Local Greens in their veg bags, for the bank holiday weekend. Knife On the evening of the build the tunnel was slashed with a knife. Lambeth Living staff and residents alike are apalled. We feel it’s important to play it down and keep on the positive, as this easily plays into the hands of the naysayers/doubters (not that I know of any in particular). We have mended it with the assistance of some lads and children passing by, and will buy more tape. Veolia – Robert, Dave and Peter – have been great in getting the tunnel and now supporting with getting timber, materials for growing, signage, sundries and so on. We are working to a pre-planned budget, and have been able to save on 9cm, pots, for example by reusing their empty trays of summer bedding. Lambeth Poly – launching next week! 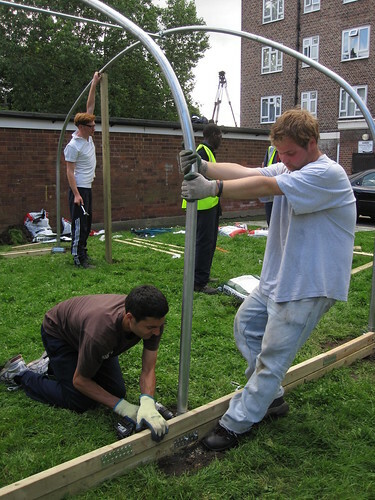 We are very excited about the construction on Tulse Hill Estate on Thursday 5th July of the first (of many, we hope) of Lambeth Poly’s polytunnels. Veolia have generously donated the tunnel and associated materials, and Ben with apprentice team from Cultivate and other volunteers will construct it. Thanks to permission from Tulse Hill Estate TRA and Lambeth Living, the tunnel will go up on a central piece of land close to the housing office – one of the few flat sites available on the estate! 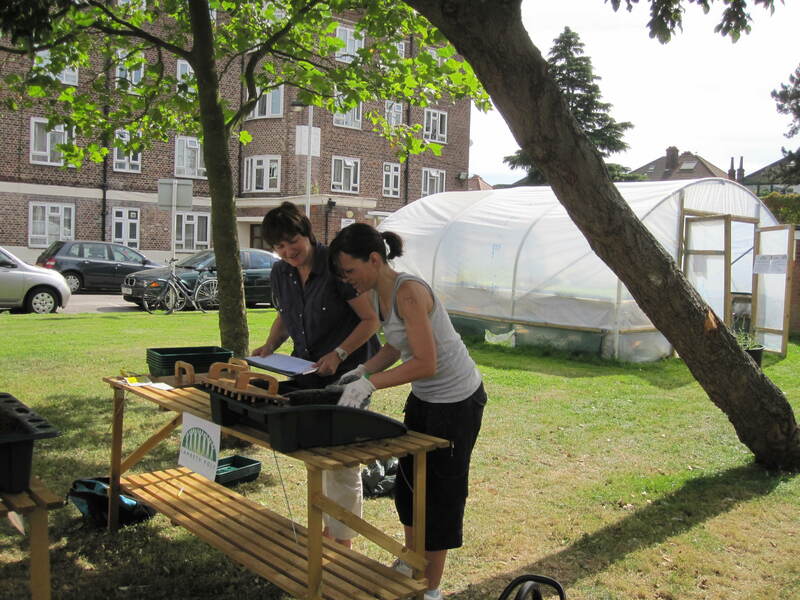 Fiona Law, project coordinator, will be installing the inside of the tunnel on Friday 6th and an ‘open house’ with seed sowing workshops for residents will be held at the Estate’s Action Day on Saturday 7th July. This is just the beginning of much fruitful (vegful?) activity. 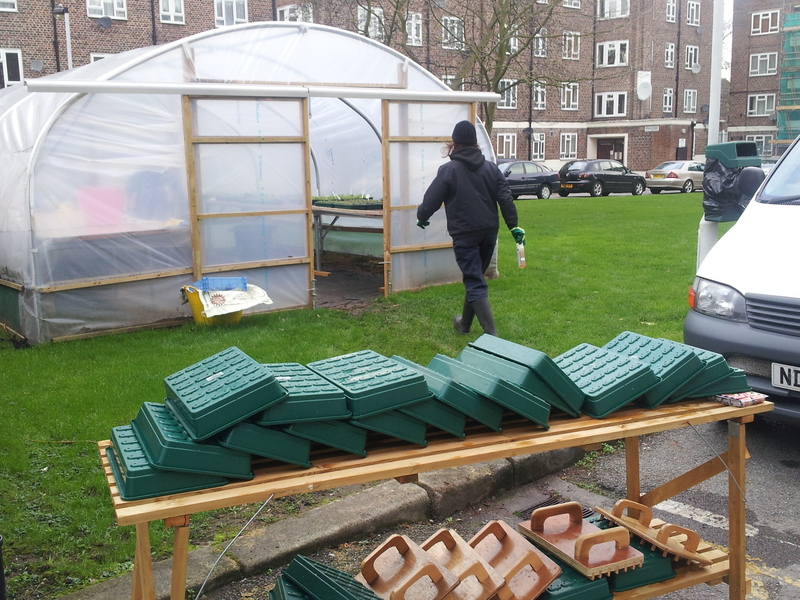 The mission of Lambeth Poly is to provide job training in commercial veg growing for Lambeth residents. The project will grow veg to sell locally, involving the trainees in running a business and providing a small income stream for the project. Each site will recruit trainees from the immediate surroundings, thus visibly benefiting that community, while increasing community cohesion. Exposure to veg growing will also positively affect mental wellbeing and healthy eating. 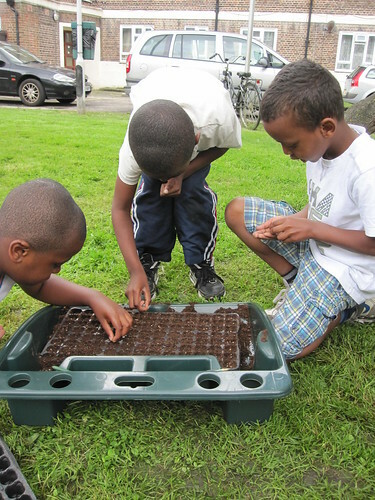 And local growing helps Lambeth reduce its carbon footprint, improve food resilience, reskill in growing techniques, and model sustainable practices. 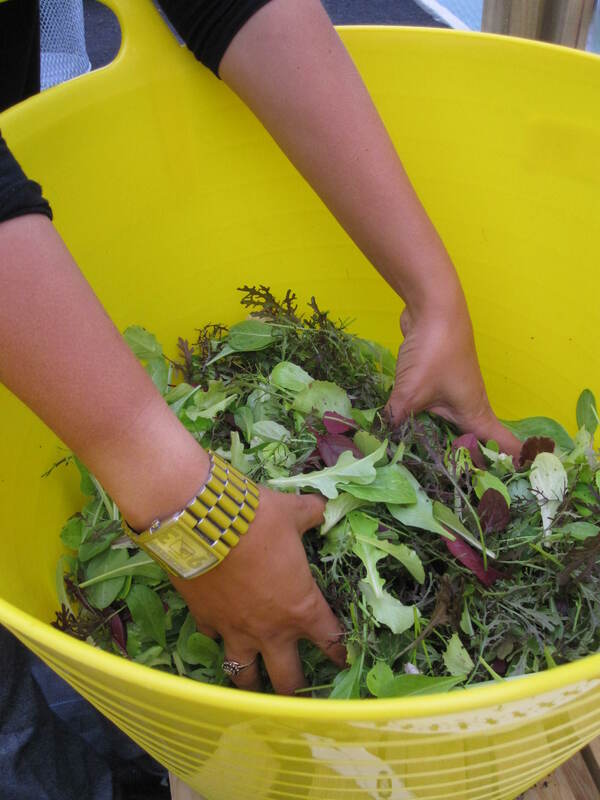 successful crops sold on – on establishment, weekly salad and stir-fry leaves and one batch of culinary herbs in 9cm pots to veg bag scheme Local Greens (order confirmed). Leaves and herbs also to residents, local caterers, and to be used on the BBQ Employment Bike project and with the Jubilee Hall project coordinated by resident Michelle Martin. Potted herbs possibly at the Lambeth Show too. How will the project continue when funding and/or project lead is no longer available? The plan is for the accredited training to fund the continuation of the project, and for the local residents to take over the day to day management if they wish. 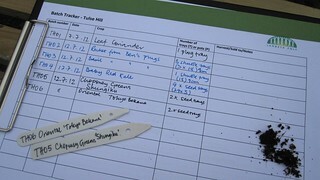 At the beginning of October residents at the Tulse Hill Estate and project will decide the future direction of the polytunnel of that particular 90-day prototype project. Lambeth Poly will identify and set up in other sites and will continue to supervise. Co-chair of IEL, trainer in horticulture, Co-ordinator of the South London Master Gardeners (volunteers who support others with their growing), garden designer, former educational manager (language and literacy). There have been quite a few diversions, digressions and interesting encounters with LBL culture since the project was chosen by the Design Council Community Project team at then end of April. Not keen to blog here on the frustrations of getting to this point as want to keep it all positive and the aims of the project are all consuming. Can the council come up with an alternative method of feedback so community members doing cooperative work aren’t exposed on the ‘learning’ of which they bear the burden?